The United Nations Office for the Coordination of Humanitarian Affairs (OCHA) says Israeli authorities demolished 197 Palestinian structures in West Bank during the first half of 2018 as the Tel Aviv regime presses ahead with its land expropriation policies in the occupied territories. The world body, in a statement released on Wednesday, announced that eight homes, 10 livelihood-related structures and four retaining walls or fences were destroyed last month. Additionally, a residential apartment was demolished on punitive grounds in Eastern Barta’a town, displacing a family of three. The occupied territories have witnessed new tensions ever since US President Donald Trump on December 6, 2017 announced Washington’s recognition of Jerusalem al-Quds as Israel’s “capital” and said the US would move its embassy to the city. 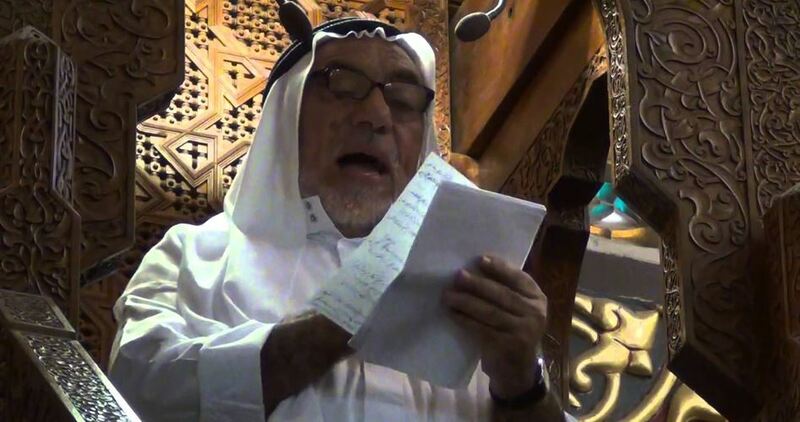 Al-Aqsa Mosque preacher Sheikh Ismail Nawahda on Friday said that Israel’s displacement of the Palestinians of Khan al-Ahmar Bedouin community falls in line with a planned ethnic cleansing policy. During his Friday sermon at al-Aqsa Mosque, Sheikh Nawahda praised the steadfastness of the people of Khan al-Ahmar and the solidarity activists from various nationalities who support their cause and condemned the Israeli violent aggressions on them over the past days. He also denounced the Israeli government’s decision to tighten the blockade on the Gaza Strip under flimsy pretexts. Al-Aqsa preacher pointed out that Israel is currently seeking to divide al-Aqsa Mosque spatially and temporally in order to build the alleged temple, stressing that the stepped up incursions by extremist settlers and members of the Knesset into the holy site are part of this plan. Nawahda called on the Muslim nation to shoulder its responsibilities toward Jerusalem and al-Aqsa Mosque and support the Palestinian people there by all possible means. At least 40 fire balloons were launched at dawn Friday at Gaza border areas, Israeli military sources claimed. 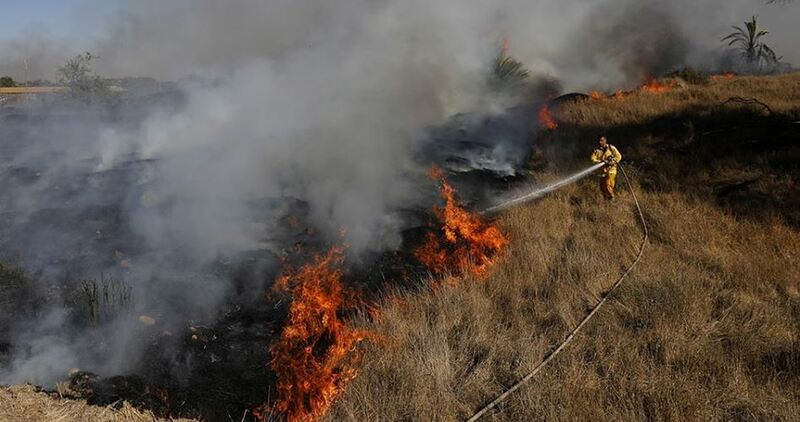 Israeli 0404 website quoted an Israeli army official as saying that ‘creative alternatives’ are being used by Gazans to ravage hundreds of hectares of land in the southern areas, and the army doesn’t know what to do about it. Incendiary kites and balloons have been launched into Israeli communities bordering the Gaza Strip since the outbreak of the Great March of Return protests, launched on March 30 at the Gaza border to call for Palestinians’ right of return to their homeland. An independent human rights group issued a special statement on the gravest violations Russian have committed in Syria since the beginning of the 2018 World Cup it is currently hosting. It noted that by hosting the tournament, Russia is seeking to present itself as a civilized country spreading love and joy among the countries of the world through hosting the World Cup. The Syrian Network for Human Rights (SNHR) said that the Russian forces have killed 71 civilians, including 20 children and nine women since the start of the World Cup on June 10. Russia has also committed at least eight massacres and attacked 14 vital civilian centers, including five healthcare facilities since June 10. According to figures compiled by the monitoring group, Russian forces used incendiary munitions, an internationally prohibited weapon, in two attacks on populated areas. The violations and the bombardment caused the displacement of nearly 270,000 civilians, most of them in Dara’a province. The Network said that Russia reneged on all agreements it reached with residents of these areas. The Network called on journalists and rights activists around the world to highlight the crimes the Russian forces have been committing in Syria since the start of the World Cup and to re-emphasize that the host country has killed thousands of civilians in Syria. The statement noted that Russia has killed at least 6,187 Syrian civilians since the start of its aggression on Syria, including 1771 children and 670 women. The victims were documented in the Network’s database with all the details such as the date and place of the attacks as well as photos and videos. A Palestinian child was killed today and another 43 people were wounded, during a protest in Gaza, according to the Palestinian Health Ministry in the besieged Gaza Strip. 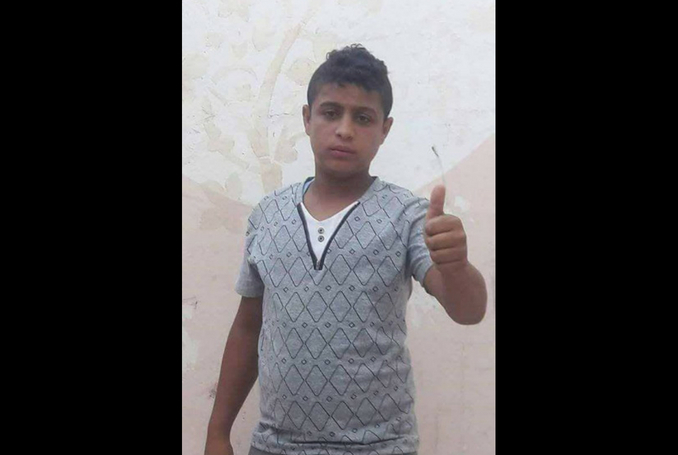 Othman Rami Hilles, 15, was shot by Israeli soldiers who fired live bullets and tear gas canisters at a peaceful protest along the fence separating Gaza from Israel. The Ministry also said that at least 43 other people were wounded. israel’s occupation army killed this palestinian child today. 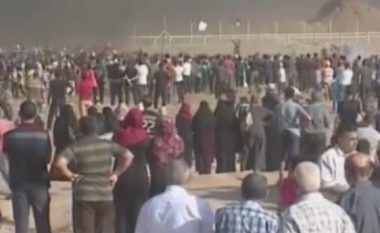 Since Palestinians began staging mass rallies near the Gaza-Israeli fence on March 30, over 140 protesters have been killed and thousands more injured by gunfire from Israeli troops and snipers. GAZA, PALESTINOW.COM — Palestinian resistance movement Hamas on Thursday hailed an Irish Senate vote imposing a ban on the import of products originating from Israeli-occupied Palestinian territory. In a statement, Hamas described the vote as “an important step towards criminalizing the behavior of the [Israeli] occupation and its policy of illegal settlement-building on Palestinian land”. The group went on to urge the international community to follow Ireland’s lead by boycotting goods produced on settlements built in occupied territory. On Wednesday evening, Ireland’s senate voted 25 to 20 in favor of legislation criminalizing imports from Israeli settlements. Israel’s Foreign Ministry, for its part, slammed the vote, saying the move was part of a “populist, dangerous and extremist” campaign to boycott Israeli commodities. “This anti-Israel boycott initiative hurts the prospects for dialogue between Israel and the Palestinians,” the ministry said in a statement. According to the legislation, the import of settlement-manufactured goods — or attempts to import them — will be considered a crime punishable by up to five years behind bars or a 250,000-euro fine. The Israeli District Court in Lod ordered Israeli police on Thursday morning to release Israeli settler criminal who burnt Palestinian family to death in Nablus in 2015. An Israeli settler criminal set fire in the house of Dawabsheh family in the Palestinian village of Duma in 2015, killing the parents and an 18-month-old baby. The fire left only one kid with sever burns that made his life difficult. The Israeli Jewish criminal has been under arrest for more than two years. He will be released and placed under full house arrest. Last month, Israeli authorities released an Israeli soldier who shot dead a motionless Palestinian in the West Bank city of Al-Khalil after spending only 18 months in prison. Israel does not see killing Palestinians by Israeli criminals an issue, but throwing a stone by a Palestinian towards an Israeli soldier in an armoured military vehicle a crime that deserves 20 years in prison, and a Palestinian who accidently runs over an Israeli criminal deserves to spend his life in prison. Israeli soldiers attacked, Friday, dozens of Palestinians, who nonviolently marched following noon prayers in Hebron city, in the southern part of the occupied West Bank. Media sources said the soldiers chased and removed Palestinian journalists, invaded and searched many homes, and occupied several rooftops to use them as firing posts and monitoring towers. They added that the soldiers also closed the main road in Bab az-Zawiya area, in the center of Hebron city, and fired gas bombs, smoke grenades and rubber-coated steel bullets. Several Palestinian youngsters hurled stones at the invading soldiers, while the army pushed more troops into the area. Israeli soldiers shot, Friday, two Palestinians near the Great Return March encampment, southeast of Gaza city, medical sources said. The Health Ministry in Gaza has reported that 137 Palestinians, including 18 children and two women, have been killed by the army in the period between March 30th and July 7th, 2018. 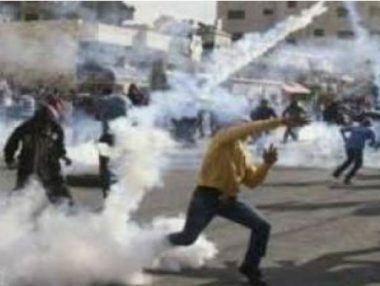 The ministry said the soldiers shot, Friday, the two Palestinians with live fire, and caused dozens of suffer the effects of teargas inhalation in several parts of the coastal region, especially east of Gaza city, in addition to east of Khuza’a, east of Khan Younis, in the southern part of the Gaza Strip. Hundreds of Palestinians started heading to the Great Return camps, marking the 100th day of ongoing protests, which started on Land Day, March 30th, 2018.